Society Pop: Fade 2 Grey Creative force Adrian Loving flexes his artistic muscle with new art installation. Adrian Loving wears many hats; He teaches, DJs, creates fine art pieces and is an avid music collector. All of these creative abilities are well represented in his latest work, “Fade 2 Grey: Androgyny in Eighties Popular Music,” which opens at the Anacostia Arts Center on March 8 and runs through April 25 before moving on to the W Hotel Washington on May 1. 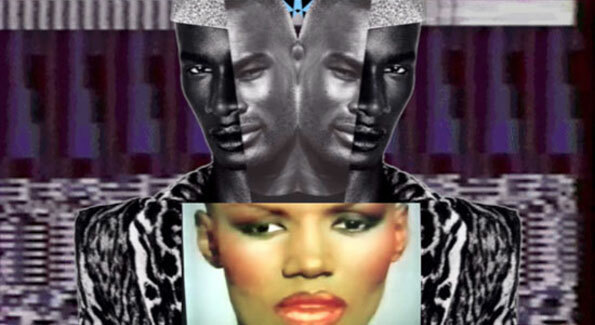 The exhibit features gender-bending pop stars from the 1980s like Grace Jones, Sylvester and Boy George in a mix of video, photography, patterns and sound. Loving says he wanted to create a work that was a visceral response to what society says about identity and was looking to challenge his audiences’ perceptions of what is masculine and feminine. 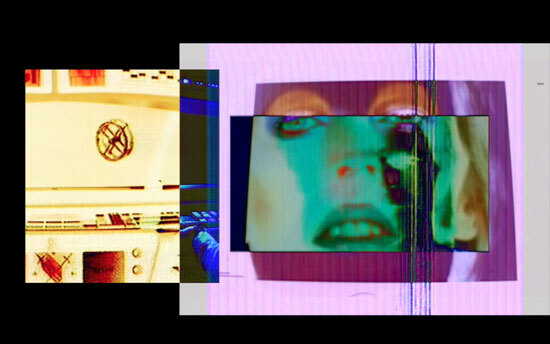 The resulting images examine the “push and pull of identity” in characters such as David Bowie’s Ziggy Stardust as well as the more “expressionist masculine portrayal of the self” by focusing on the “duality of character” that exists both in the music and in the on-stage personas of the pop icons critiqued, he says. Loving adds that this installation allows him to walk the fine line between “music, sound and the visual image” and push the boundaries to where he can go as an artist. Vivid Solutions Gallery‘s “Fade 2 Grey: Androgyny in Eighties Popular Music” by Adrian Loving is on view March 8 through April 25 at the Anacostia Arts Center, 1231 Good Hope Rd. SE, Washington, D.C. 20020, 202-631-6291. The exhibit is also on view May 1 at the W Hotel Washington, 515 15th St. NW. For more information, 202-661-2400.